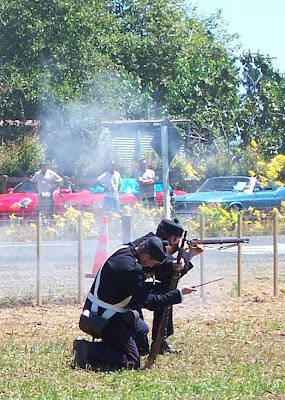 Not about trains, this time, I promise ...! 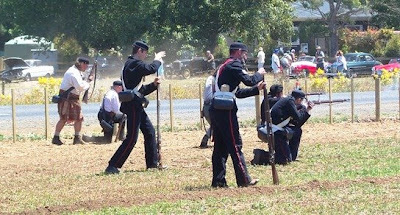 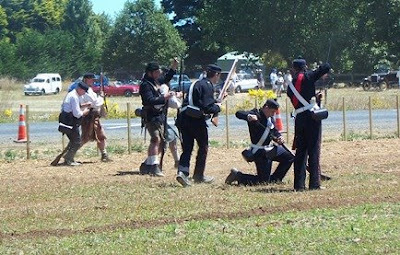 At the paddock across the road from the trains, cars and models exhibitions, they staged ploughing competitions, horse-and-wagon rides ... and a military re-enactment. 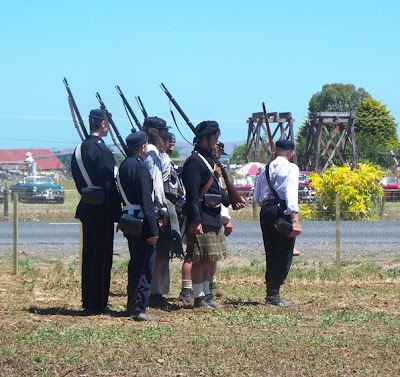 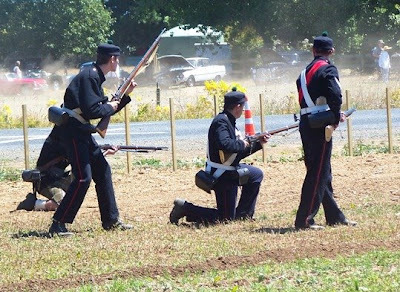 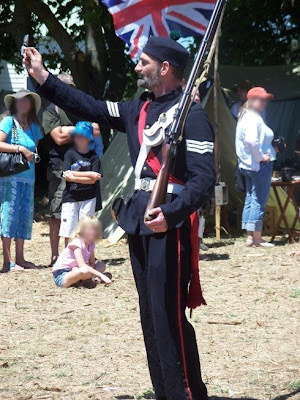 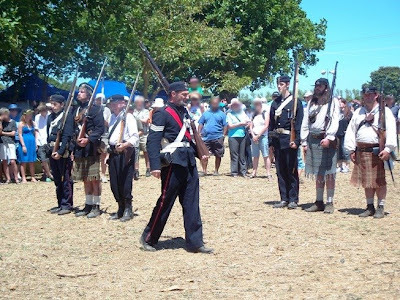 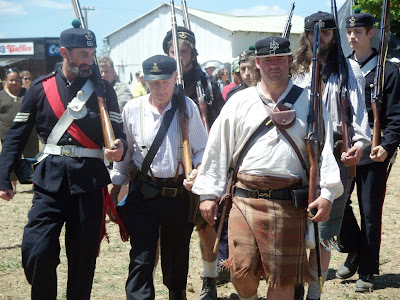 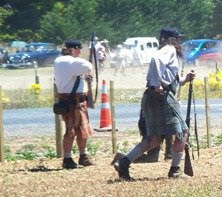 The uniforms used were those of the 65th regiment and the militia or colonial forces (later armed constabulary, and a foundation for today's NZ police force from the mid 1870s).